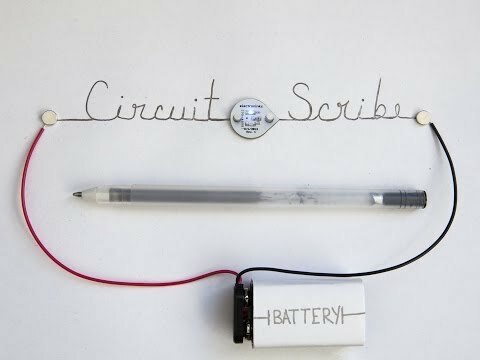 Circuit Scribe was made for project based learning. 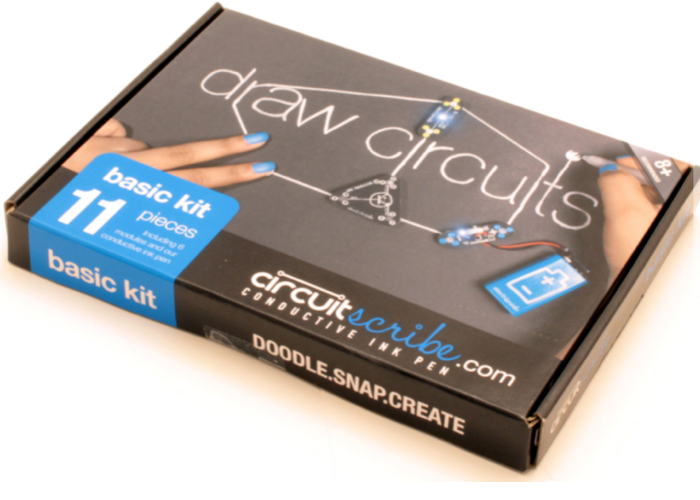 Circuit Scribe allows you to "draw" the circuitry path, so that you can visualise how the current flow, all without the need of any soldering and breadboard. 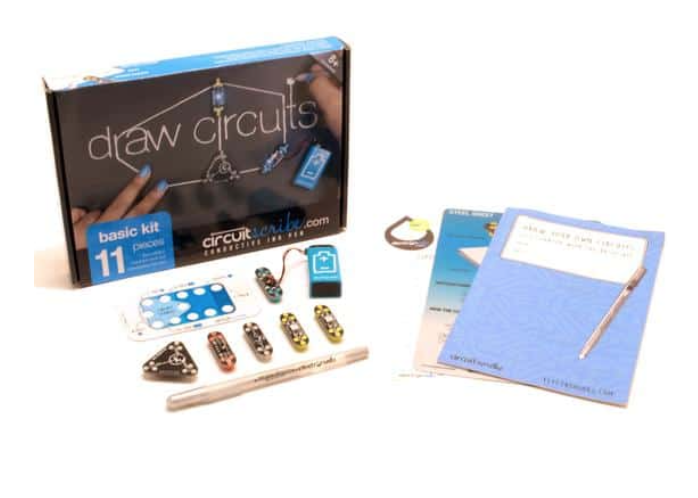 The Basic Kit contains a Circuit Scribe pen, modules, and accessories listed below. 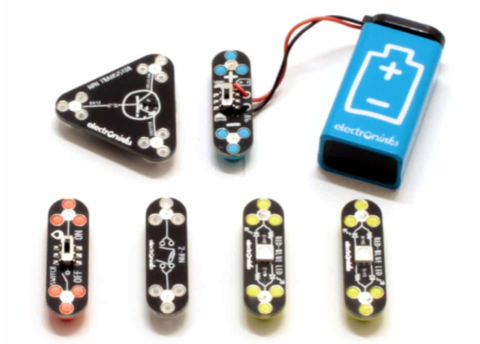 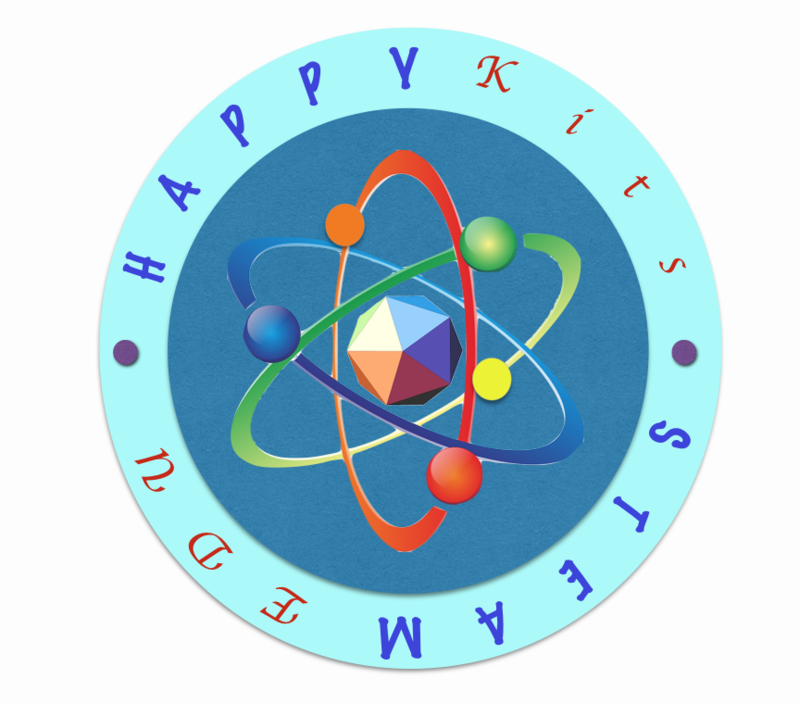 The Workbook explains the concept of voltage, current, LED, logic and transistors.